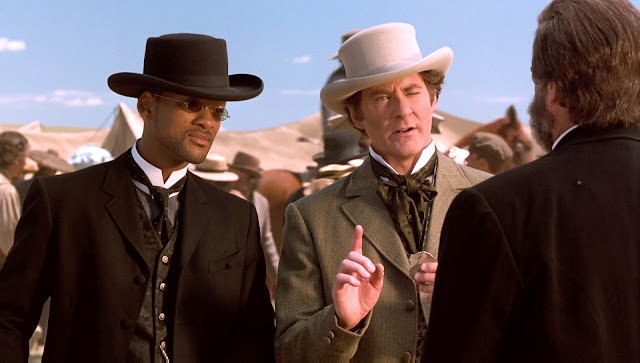 A failed attempt to revive the steampunk television series about a Secret Service agent on the American Frontier, starring Will Smith and Kevin Kline, who are still apologetic about the film. The 1999 big-screen reboot of "Wild Wild West," a mid-60s television show telling of two Secret Service agents in the American West, seemed like it had promise. It was directed by Barry Sonnenfeld, who, despite a public persona that is almost a caricature of a neurotic New York Jew, has a taste for cowboy boots and 10-gallon hats and a superb visual sense of humor. Sonnenfeld had already had a notable career, starting as cinematographer for the Coen Brothers, directing the marvelous Addams Family movies, demonstrating a talent for handling Elmore Leonard material with his direction of "Get Shorty" and production of "Out of Sight," and then helming "Men in Black," which ingeniously paired Will Smith and Tommy Lee Jones in a poignant illegal immigration science fiction parable that also managed to be a runaway hit. Sonnefeld reunited with Smith for "Men in Black" and assembled a neat collection of genuine talent, including costars Kevin Kline, Kenneth Branagh, and Salma Hayek, as well as the writing team behind the surprisingly marvelous giant worm movie "Tremors" working off a story by the Thomas Brothers, Jim and John, who had written the surprisingly marvelous Schwarzenegger vs. alien hunter movie "Predator." Collectively, they should have been able to produce something, well, surprisingly marvelous. There are a few things in the film I would like to highlight, before I dive into everything wrong with the movie, which will take up the bulk of this review. There is a moment in a study that is as visually enjoyable as anything Sonnenfeld has produced, in which it turns out that every one of the study's dozens of enormous oil paintings of hunters are, in fact, trompe l'oeil hiding places for assassins. I liked that. And, at the climax of the film, in a scene created during the film's extensive reshoots, Will Smith battles a man with a giant spike through his head. This is a reference to Phineas Gage, a railroad construction foreman who, in 1848, actually did end up surviving getting a spike driven through his head and survived with it sticking out of him until 1860. It was fun to see the film reference Gage, and I wish there had been more of that sort of thing. There isn't. To its credit, the film is set in the shadow of the Civil War, and neither Smith nor the villain Dr. Arliss Loveless (Branagh) having forgotten it. This is a fine theme for a Western, but, weirdly, "The Outlaw Josie Wales" handled the subject better, and that was based on a book by an actual racist. Instead, it merely serves as an excuse for Loveless's mad plans, which are, to put it bluntly, to take over the United States with the help of a giant mechanical spider. Loveless has lost the lower half his body, and so occasionally Smith and he will verbally spar, Loveless making nasty cracks about Smith being Black and Smith responding by mocking his disability, which isn't especially heroic: If I have to choose between someone who hates people because they are Black or somebody who hates people because they are disabled, that is going to be a very hard choice, and one I would prefer not to have to make. I'd like to lay the blame for this film at one man's feet. Specifically, Jon Peters, the hairstylist-turned-filmmaker who produced this film. Certainly Peters has made some questionable films in his career, including "The Clan of the Cave Bear" and "Caddyshack II," and he's almost certainly behind the giant mechanical spider, as filmmaker Kevin Smith has been dining out on stories of Peters insisting on giant mechanical spiders for years. But Peter was also responsible for some terrific films — more than Smith can claim — and it's just too easy to use him as a punching bag. No, to give demerits where they are due, everyone involved in this film seems to have owned up to having a hand in it being a stinker. Will Smith has never really stopped apologizing, saying he was more interested in generating big box office than great films, and Kevin Kline has admitted he made the film simply for the money. The two claim they enjoyed working with each other, but, if so, it did not translate to the screen. 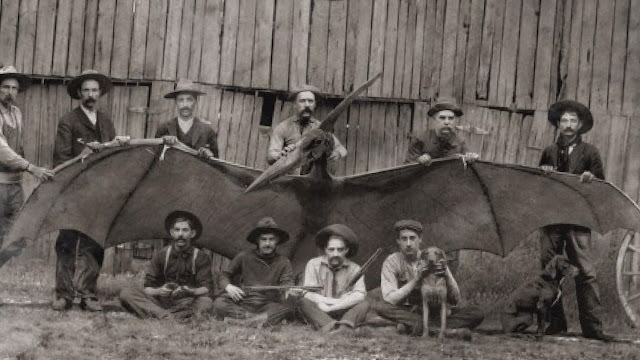 The main characters in the original series, gunslinger Jim West and master-of-disguise Artemus Gordon had a friendly, collaborative relationship. Here, they have a squabbling, competitive relationship and often seem like they genuinely loathe each other. Smith, as West, mostly rolls his eyes at Kline's (as Gordon) inventions, and with cause. The film is often identified as steampunk, as Gordon is responsible for all sorts of modern inventions made out of ancient technology. But they're all sort of dumb, punchlines rather than actual inventions, such as a pool table on a train that flips itself upside down when somebody is on it, dropping them underneath the train. There is no reason for this cumbersome device, and it makes Gordon seem deranged rather than inventive. Salma Hayek hasn't apologized for her appearance in the film — in fact, she doesn't discuss it much at all, except to express embarrassment at her costumes, which mostly served to highlight her bosoms. She needn't apologize though, but rather be apologized to. She is shockingly underused in the film, on hand mostly as eye candy and as a subject for the two main characters' romantic attention, which comes off as creepy rather than genuine. It is almost possible to enjoy the film thanks to Kenneth Branagh's absurdly mannered performance — he wears a preposterous beard and mustache combination that looks like the sort of curlicue you might find on a formal wedding invitation. He speaks with a Southern accent so exaggerated that he sounds like a drunk man screaming Blanche DuBois's dialogue after having locked himself in the bathroom of a dive bar. Unfortunately, as much as I like a good hammy performance, I have to agree with the original Jim West, Robert Conrad, who was furious at the whole film. He pointed out that the character that Branagh plays in the film was a little person in the original series, played by a terrific actor, Michael Dunn. By casting Branagh, the film took a role away from a little person and gave it instead to an able-bodied man pretending to be disabled. Conrad felt like there are plenty of little people in Hollywood who would have been terrific in the role, and I agree with him, although I worry the resulting film would have been a series of short jokes. A smaller complaint, but an constant one, is that this is one of the few films where Sonnenfeld's visual skills failed him. The costumes are uninteresting, looking like the sort of thing you would find at one of those photo places where you dress for wanted posters. The Western sets look like backdrops, which they were, without any additional dressing to make them distinct. The visual effects feel similarly generic, and, since there was early and extensive use of CGI in this film, decidedly unreal. This is also a disappointment, as "Addams Family" and "Men in Black" both boasted distinctive art design and memorable use of special effects, and the anonymity of so many of the film's elements suggests a lack of care on everybody's part. It's too bad, as the original concept is fine, and was well-handled in the original series. It's essentially a James Bond story set in the Old West, with Jim West not only having Bond's gentlemanly spy skills but also access to the same sorts of weapons and technology, ingeniously recreated with what was available in the era. This should make for an enjoyable film — after all, people are still mad about the whole steampunk aesthetic, despite this film's best efforts to kill it. Hell, make it again and turn it over to the steampunks. It should be made by someone who cares.